The National Conference Center is asking the county for permission to build 126 townhouses on its property, drawing resistance from residents nearby. The National is hemmed in by Lansdowne homes and Riverside High School, which stands on 46 acres the conference center’s previous owners sold to the county for $20 million, part of the cost that made Riverside the most expensive school yet built in the county. Now, The National’s owners want to build townhouses near Charlena Beth Drive on school property and Kipheart Drive; and off one of the center’s winding loop roads, near the end of Coton Farm Court to the south. During a Nov. 22 Planning Commission public hearing, Cooley LLP partner Colleen Gillis, representing The National’s owner, said the center’s plans are less intensive than what is allowed under current zoning, and better fit with the county’s comprehensive plan. 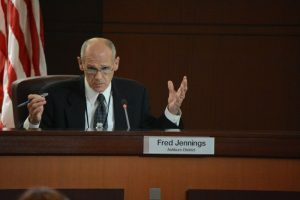 “We’re trying to be very sensitive to the needs of the community around us, and we think this is the best solution, given what the comprehensive plan calls for,” Gillis said. 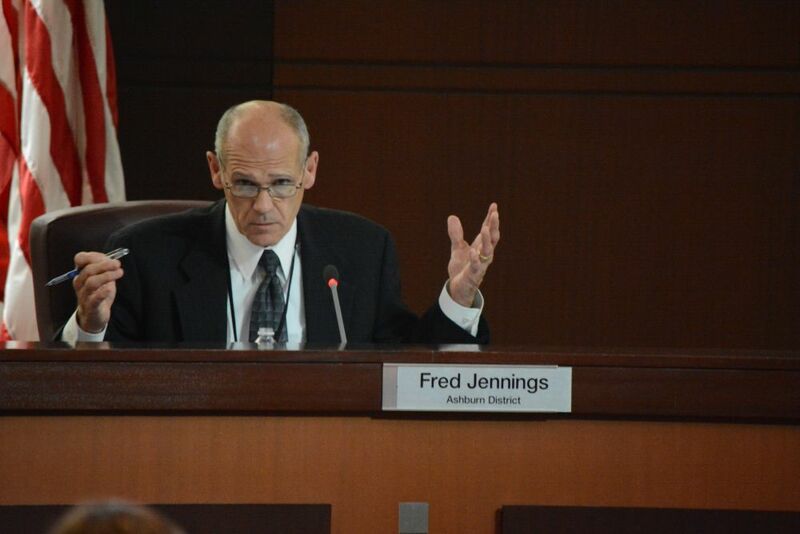 The National’s land is one of only two “planned development–special activity” zoning districts in the county, the other being at One Loudoun. 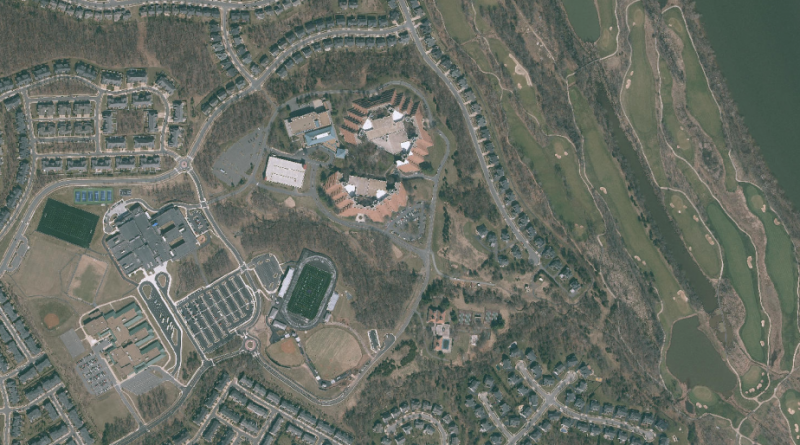 It permits a range of large uses, such as airports, universities, hospitals, and sports stadiums, and accommodates uses which “by their nature require sizable land area, often operating and designed in a campus like atmosphere, and which may require functional separation from normal residential, commercial, or industrial development,” according to the Revised 1993 Loudoun County Zoning Ordinance. The owner would like to rezone much of The National’s 67 acres to office park, with the remaining 28 acres converting to allow residential. Despite the office park rezoning, the owners are not currently proposing any additional development to the conference center aside from parking. 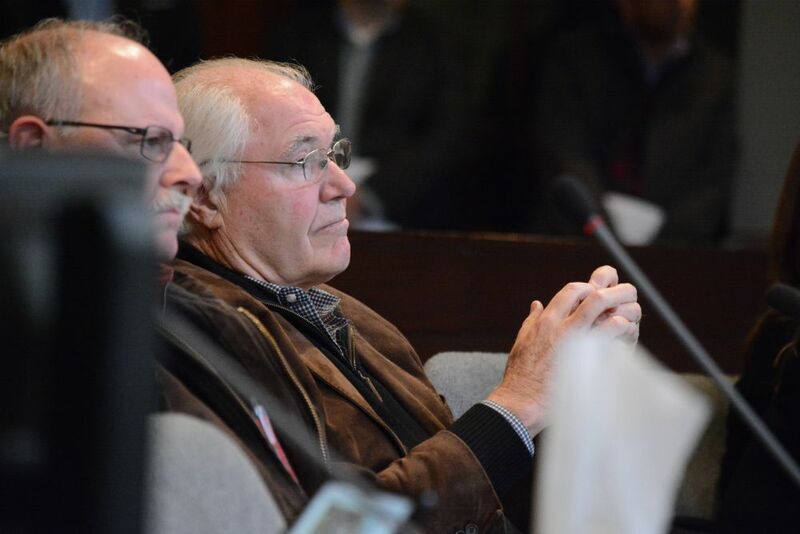 Kevin DeTurris, president of the Lansdowne on the Potomac Homeowner’s Association, said The National’s plans have been a major point at the HOA’s meetings for most of a year, and that the majority of responses have been in opposition. Homeowners around the property have worried about the proposed townhomes’ impact on schools and roads. “My concern is also the traffic,” said Margaret Kernos, citing the recent death of an infant at a crosswalk in Lansdowne. In 2011, many residents whose homes border The National’s campus voiced complaints to county leaders about an expected uptick in traffic when they approved the sale of 45 acres of the conference center property for Riverside High School. To gain access from Charlena Beth Drive, which is on school property, The National will need permission from the School Board, which is expected to take up the request Dec. 13. Skeptical planning commissioners voted to send the application to a future work session, with a specific date yet to be determined. Both the National Conference Center and Lansdowne on the Potomac are members of the Lansdowne Conservancy, the master association for all of Lansdowne. Other members include Lansdowne Woods of Virginia, Inova Loudoun Hospital, and Lansdowne Resort. The National’s current owner, NCC PS Enterprises LLC, is a joint venture between a real estate investment management firm in California and New York, and a private equity firm based in Connecticut. That partnership bought The National in 2014 and started investing heavily to revitalize the flagging venue, which at that time relied heavily on government business and was suffering with a decrease in government business from sequestration, a slowdown in government meetings, and the 2013 government shutdown. Find a use that is consistent with the current zoning say, an airport. Wait, there’s not enough land to build any of those things? Well, I guess we’ll just have to keep it as a Conference Center… as intended. No townhomes, no more traffic, no more kids in the school system. No rezoning expressly for developers. Find some land that is zoned residential – there is plenty of it in LoCo.